Bitcoin transactions in Germany have been made exempt from capital gains tax after one year. In Germany, assets such as stocks and bonds are subject to a 25% capital gains tax (plus a solidarity surcharge) and a state-dependant church tax. With the new decision, bitcoins having been held for more than a year will not be subject to these charges. According to German news site Die Welt, financial expert Frank Schaeffler stated: “It is good that investment in bitcoins is finally [a] legal certainty. Private profits from the sale of bitcoins are tax-free after one year”. 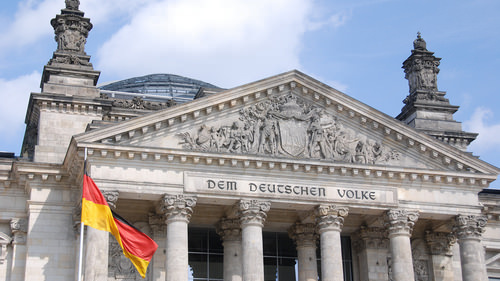 Germany has long faced uncertainty as to the legal position of digital currencies in general. Many will be glad to see the German federal government clarifying how bitcoins should be treated as an asset. In online exchanges like bitcoin.de or mtgox.com, 100 bitcoins could be acquired in mid-2012 for about 550 euros. Today, the same amount is worth about 7600 euros. In the event of a sale after more than twelve months, where the gain is about 7000 euros, the flat tax would would come into effect at 1750 euros. Legally, the purchase and sale of bitcoin is a private sale transaction under Section 23 paragraph 1 sentence 2 of the Income Tax Act, which (according to section 2, paragraph 1, sentence 1, No. 7 Income Tax Act) is classed as income tax. The legal requirement is to collect on these transactions only if the period “between buying and selling is no longer than one year.” Bitcoins are enjoying increasing popularity in the Internet community, but also as a playground for speculators. They allow for the payment of goods and services on the Internet without the need for a traditional bank account or a credit card. More than 2,000 companies and organizations worldwide accept the digital money now. This move could serve to promote saving bitcoins, which some people regard as “hoarding”. However, if German people see bitcoin as a realistic way in which to store their money, that could in turn promote its adoption. As long as someone can prove they have held a certain balance for at least a year, subsequent purchases and withdrawals of the digital currency will be tax-free, as long as they don’t exceed the balance of a year ago. It is also worth noting that the German capital gains tax does not apply to mining bitcoins. It only applies to stocks, bonds, etc, that have been purchased with the intention of market speculation. Since mining bitcoins is essentially creating value, normal income tax would be applied.